Fujii Y, Komai Y, Saito K, Iimura Y, Yonese J, Kawakami S, Ishikawa Y, Kumagai J, Kihara K, Fukui I. Incidence of benign pathologic lesions at partial nephrectomy for presumed RCC renal masses: Japanese dual-center experience with 176 consecutive patients. Urology. 2008; 72: 598-602. Tanaka H, Yoshida S, Fujii Y et al. Diffusion-weighted magnetic resonance imaging in the differentiation of angiomyolipoma with minimal fat from clear cell renal cell carcinoma. Int. J. Urol. 2011; 18: 727–30. 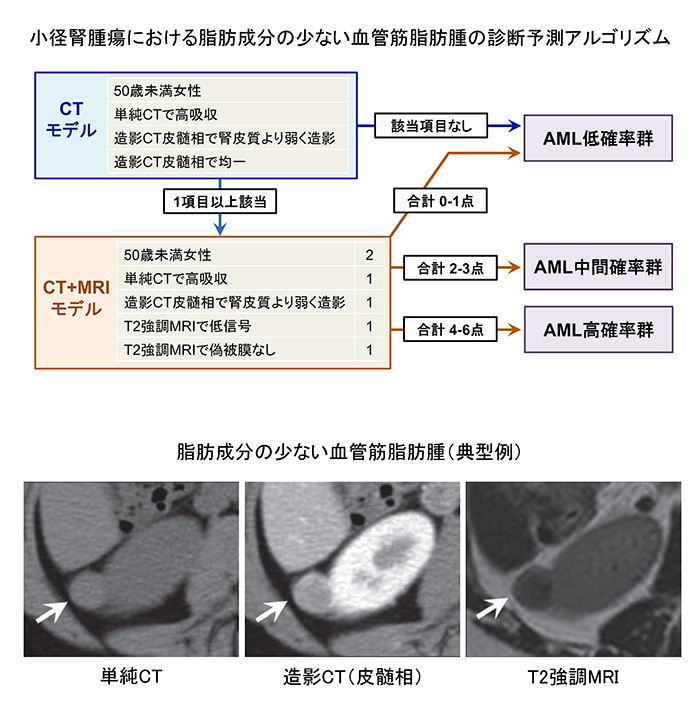 Tanaka H, Fujii Y, Tanaka H, Ishioka J, Matsuoka Y, Saito K, Uehara S, Numao N, Yuasa T, Yamamoto S, Masuda H, Yonese J, Kihara K. Stepwise algorithm using computed tomography and magnetic resonance imaging for diagnosis of fat-poor angiomyolipoma in small renal masses: Development and external validation. Int J Urol. 2017; 24: 511-7.